"I Will Establish My Covenant..."
The Lord told Noah to build an ark for himself. But, it was not limited to Noah. The Lord was bringing the flood of water to destroy all flesh in which is the breath of life. God establishes His covenant with Noah. The Lord told Noah what to do. The Lord promised Noah that his family would believe and be safe. The Lord let him know those who would be saved. One we need to adopt. The Lord is interested in our families. The Lord established His covenant with Noah and family. Remember, God is a covenant-making and covenant-keeping God. What would happen if we as believers truly focused our attention upon our family? Noah preached for 120 years and no one believed, except his family. "I Am Bringing the Flood..."
God gave Noah specific instruction to build an Ark. The Ark was for Noah. The Ark was the source of protection from the judgment that the Lord was to bring. Again, each detail…regardless of how small…is significant and points to the ultimate redemption through the Lord Jesus Christ. It is beyond the scope of this format to explore every nuance. Give heed to the “threes”, the construction material, etc. “Make for yourself an ark of gopher wood; you shall make the ark with rooms, and shall cover it inside and out with pitch. “This is how you shall make it: the length of the ark three hundred cubits, its breadth fifty cubits, and its height thirty cubits. “You shall make a window for the ark, and finish it to a cubit from the top; and set the door of the ark in the side of it; you shall make it with lower, second, and third decks. The Lord was clearly stating that He was doing this, that He had a purpose. The Lord was bringing a flood of water upon the earth. It had never rained before! The Lord was bringing the flood to destroy all flesh in which is the breath of life. There is apparently a distinction between flesh with “the breath of life” and those without. I suspect that “breath of life” refers to breathing air…land/air creatures. Therefore, the fish, etc. were not destroyed. God is serious about judging sin. He will judge again, with fire. "Make for Yourself an Ark..."
God had decided to destroy evil man. He would eliminate them from the face of the earth. God gave detailed instructions to Noah. God instructed Him to build a boat. A boat for a flood. It had never rained upon the earth in the traditional hydrological cycle we experience today. Try explaining a flood that will destroy, when it has never rained. Noah was to make an ark - for himself. Each detail of the ark is of importance. Most, if not all, are pictures of the Lord Jesus. The word “pitch” in the Hebrew is “kopher”. It refers to “covering” and “price of life”, “redemption price”. The ark saved Noah…and family. The ark is a picture of the Lord Jesus. It was “pitched within and without”. Covered with the redemption price. What would He do with the evil man? What would He do with the righteous man? The is the fruit of rebellion against God. The Lord had “had enough”. The Lord would destroy all corrupt and violent flesh from the earth. He would not “destroy the earth”. He would remove the corruption. He would “wash” the earth. He did so…as we will see. He will do so again…as He has declared. First time, destruction by the washing of water. Next time, destruction by the purifying of fire. As so often occurs in the Word, keep reading. He did what was “right”? “Right” according to who? The Word of the Lord, the Most High God. Noah was blameless in his time. “Blameless” caries the idea of “complete”, “perfect”, “having integrity”. He was so in his “time” - in his generation. How was Noah a man of such integrity? Thereby we will be people of integrity and pleasing to the Lord. Yes, holy with the favor of the Lord. The Lord was grieved of heart over what man was doing. The Lord was “sorry” that He had made man. 7 The LORD said, ``I will blot out man whom I have created from the face of the land, from man to animals to creeping things and to birds of the sky; for I am sorry that I have made them." The Lord decided to blot man from the face of the land. Man who God had created. All animals upon the earth and the sky. God was sorry He made them. Was God “mistaken” to have created man and the animals? Did the Lord not know what they would do? Yes. He knew. Yet he created and gave man the opportunity. God was sorrowful over the sin, evil and rebellion of man. God was sorrowful over striving with man. But, what would God do? Live in the favor of the Lord. One last thought on the context of the Noah narrative. 3 Then the LORD said, ``My Spirit shall not strive with man forever, because he also is flesh; nevertheless his days shall be one hundred and twenty years." man did as he desired. Be not as the wicked. We have seen that the “sons of God” began usurping power, roles and responsibilities that belong to God. They took to themselves the daughters of men as wives. 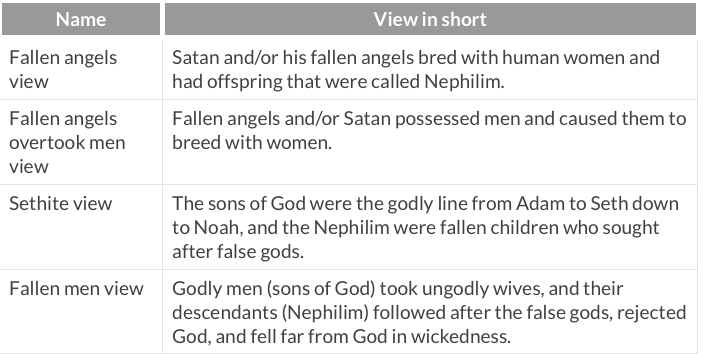 I believe these “sons of God” were demon-possessed men who sought to rule over man. Men who sought to be “god”. He saw that the wickedness of man was great upon the earth. He saw that every intent of the heart of man was evil. He was sorry that He had made man on the earth. He was grieved in His heart. We learn much about God. We learn that He sees. We learn that He has emotion. We learn He experiences and expresses emotion, yet without sin. Remember, we are made in the image of God. We are a reflection of Him. We learn that God “was sorry” that He made man. He was not surprised at what man was doing. He knew it would be done. He knew it before the foundation of the earth was spoken into existence. Yet, He grieved in His heart. We see the heart and compassion of the Lord. We see the intense evil of man. Man multiplied as the Lord instructed. The “sons of God” saw that the daughters of men were beautiful. They took them as wives. There appears an inference that the “choosing” was forced to a degree…? We simply do not know beyond doubt. Some say they are men of the line of Seth, the so-called “godly-line”. Some say they are “men” who are “fallen angels” - demons. Angels do not physically reproduce. Some say they are “rulers or princes”. This is the Jewish rabbinical understanding. I’m more inclined to believe that they are “demon-possesed” rulers. These are men that took to themselves power and denied the power and authority of the Most High God. They sought to be God. Man seeking to usurp God. Man seeking to do things his way. Man seeking everything other than God. Let us continue to learn of Noah. We began yesterday with discovering the context. The sons of God…more later on them…saw the beauty of the daughters of men. They took them for themselves. The Lord was displeased with His Spirit striving with man, because of man’s flesh. Days of life expectancy? Perhaps. Days until judgment? Perhaps…more likely. The Lord tells us what the status of man was. Great wickedness upon the earth. Every intent of the thoughts of man’s heart was only evil continually. We live in like days. Noah, a man of faith. Let us look at the account of Noah…take our time. Men were multiplying on the earth. God had told them to do so, to be fruitful and multiply. The sons of God saw the daughters of men and took them for wives. We simply do not know beyond doubt, but there are ideas…more later. But, look at the response of the Lord to the situation. His Spirit would not strive with man forever. Man “operating in the flesh”…more later. Man had 120 years until the Lord was doing something - likely the primary understanding. Man would now live no more than 120 years - at this time they lived many hundred of years. God was displeased with the ways of man. Let us not displease Him. Give attention to just the facts in this verse. - by which he condemned the world. Noah became an heir of righteousness by this act of faith and obedience. A righteousness according to faith. Do we, by faith, give heed to the warning of the lord? Do we, by faith, “prepare an ark” for the salvation of our households? Do we, by faith, walk in righteousness according to faith? The great cloud of witnesses! We understand the worlds were prepared by the Word of God. Abel offered a better sacrifice than Cain. Enoch was pleasing to God. Enoch was and was not. Again, Enoch obtained the witness (of God) that he was pleasing to God. How was Enoch pleasing to God? Enoch was pleasing to God “by faith”. By faith he was taken up. Enoch is the example of this amazing truth “without faith it is impossible to please Him…”. We must come to God. We must believe that He is. We must believe that He is a rewarder of those who seek Him. We must do so by faith. If our “relationship” with the Lord is based upon anything other than faith, it is a false relationship. Seek the Lord, in faith. Then you will please the Lord, in faith. To receive the complete understanding of the Lord related to a matter we must know the total counsel of the Word of the Lord. We learn about him in Genesis and Hebrews. But there is more…somewhat “hidden” in Jude. Jude - a brief, 25 verse letter toward the end of the New Testament. Many believers do not know that it even exist. It is powerful and speaks to us today. Jude wanted to write about the common faith he shared with the recipients of the letter. But, the Spirit moved him in a different direction. He felt the need to appeal to them to contend earnestly for the faith. Enoch lived seven generations from Adam. Adam was still alive…see the chart from yesterday. He spoke the Truth related to things which have yet to come…even from our time. He spoke of/against the ungodly. He spoke of the Lord judgment of the ungodly. This was part of Enoch’s “walk with God” in faith. There is more than one “Enoch” in the Word. This is not the same Enoch mentioned in Hebrews. Genesis 5 is a genealogy - the book of the generations of Adam. Look at the facts…some very interesting things here…yes…in a genealogy. Enoch lived 65 years then he fathered Methuselah - yes, that Methuselah. Then, when?…apparently at the age of 65…Enoch began to walk with God. We see that Enoch “walked with God 300 years” after he fathered Methuselah. All his days were 365 years. So, he began to walk with God at age 65. Enoch walked with God…whatever that means. Enoch “was not”…apparently this means that he was no longer around. So, here is what we know. At age 65 Enoch began to walk with God…perhaps literally? Enoch was not because God took him. Enoch was not found, apparently folk looked for him. By faith we understand that the worlds were prepared by the Word of God… though many who profess “faith” reject this. Enoch…we will see more of him later. Look at what the verse reveals about him. He did not see death…he did not die. He was not found, because God took him. He obtained the witness…from who? God. Before he was taken up he was pleasing to God. What ‘witness’ are we obtaining? Cain learned that he was “cursed from the ground”. He learned that would be a vagrant and a wanderer on the earth. Cain was overwhelmed by the ramifications of his actions. He declared that his punishment was too great to bear. He was driven from the face of the ground. He knew that God’s face was hidden from him. He knew the Word of the Lord would be true - he would be a vagrant and wanderer. He feared that he would be killed by whoever found him. He still did not trust/depend upon the Lord. So the LORD said to him, “Therefore whoever kills Cain, vengeance will be taken on him sevenfold.” And the LORD appointed a sign for Cain, so that no one finding him would slay him. The Lord promised vengeance on whoever killed Cain. The Lord also appointed a sign for Cain, so that no one finding him would slay him. We do not know what the sign was. Many fanciful suggestions have been proposed. He left the Presence of the Lord. I suspect the worse part of the punishment. The Land of Nod, east of Eden. He lived in the land of wandering. "...No Longer Yield Its Strength for You..."
Cain went his own way. He chose to walk in rebellion before the Lord, even when the Lord had directly warned him. He then allowed the sin to grow and fester. Sin led to more sin - murder. God tells Cain that the blood of his brother Abel is crying to the Lord from the ground. “Now you are cursed from the ground, which has opened its mouth to receive your brother’s blood from your hand. Cain is cursed from the ground. The ground would “no longer yield its strength for you”. He would not be able to grow food. The ground had received the blood of his brother…which he spilled. Now, the ground would refuse to bring forth a harvest for him. He would be a vagrant. He would be a wanderer on the earth. He would live “in the land of Nod”. Rejecting the Word of the Lord brings forth horrid fruit. Do as the Lord leads. Cain did not heed the counsel of the Lord. Rather, Cain embraced the fallen countenance and that came in his rebellion. What was the fruit of Cain’s rebellion? Were there more brothers? Yes, there were. Later. God knew where Abel was. He was giving Cain the opportunity to repent, confess. Cain said he did not know. He did know that Abel was dead…which is interesting. But, he did not know where he was. Where did one go after death? Was this the first death. Did man even know what expiration of life looked like? Then Cain goes the way of his father Adam. “What have you done?” The Lord knew. But did Cain know and understand. That is the purpose of the question. The Lord calls for Cain to listen. The blood of this brother crying from the ground, crying out to the Lord. There was more to this death than Cain understood. The Lord references this event in several places in the balance of the Word. Blood is crying unto the Lord from our land. Cain had chosen to approach the Lord in his own way, not in the way God instructed. The Lord spoke to Cain and explained the situation. “If you do well, will not your countenance be lifted up? Cain needed to do what God said. If he did not, sin was crouching at the door…and sinned desired him. I suspect he told him about the conversation with the Lord and what happened with the offering. He rose up and killed Abel. This occurred after a period of time…”it came to pass”. Cain allowed the anger to fester. Cain did not do what was right. Cain gave the devil opportunity. Do not go the way of Cain. Cain brought an offering to the Lord…an offering that was not received…rejected. Apparently it was not the type of offering the Lord required. We are not told in this account about the requirement. We are told about Cain’s response, God’s response, etc. He was mad, very angry, fuming. Then the LORD said to Cain, “Why are you angry? And why has your countenance fallen? Did you note the response of the Lord? He asked not due to ignorance. He wanted Cain to think and reflect on his anger…the reason…the result of his response. We can see the compassion of the Lord. We can see the grace and mercy of the Lord. We can see the love of the Lord. He wanted Cain to respond correctly? Cain knew what he was to do. Apparently the Lord had told them. Yet, Cain determined to approach the Lord in the way that he wanted. This is a major problem in the church today. Far too many worship “in the way of Cain”. They want to approach the Lord, but on their own terms, in their own ways. Do all in the way of the Lord. The Lord tells Cain that if he does well, then his countenance will be lifted up. It was due to his rebellion that anger was reigning. If Cain did not do well, then know that sin is crouching at the door, and its (sin’s) desire if for you. Sin was at the doorstep. Sin was ready to pounce. But, this Word of encouragement, instruction, command. Submit to the way of the Lord? Or, go they way he desired? We are empowered to master sin. Go the way of the Lord. but for Cain and for his offering He had no regard. So Cain became very angry and his countenance fell. Man (Adam) and Woman (Eve) had relations and conceived. I have gotten a man-child with the help of the Lord. Abel was a keeper of flocks. Cain was a tiller of the ground. The likely unstated reason is that the Lord had instructed them in bringing an offering before Him. Cain brought an offering of the fruit of the ground. Abel brought of the firstlings of his flocks and their fat portions. The Lord did not have regard…receive…Cain’s offering. The likely unstated reason is that Abel’s offering was of the type the Lord had instructed them to give. How did they know the Lord received/rejected? Perhaps the Lord consumed Abel’s offering with fire. He does so throughout Scripture. 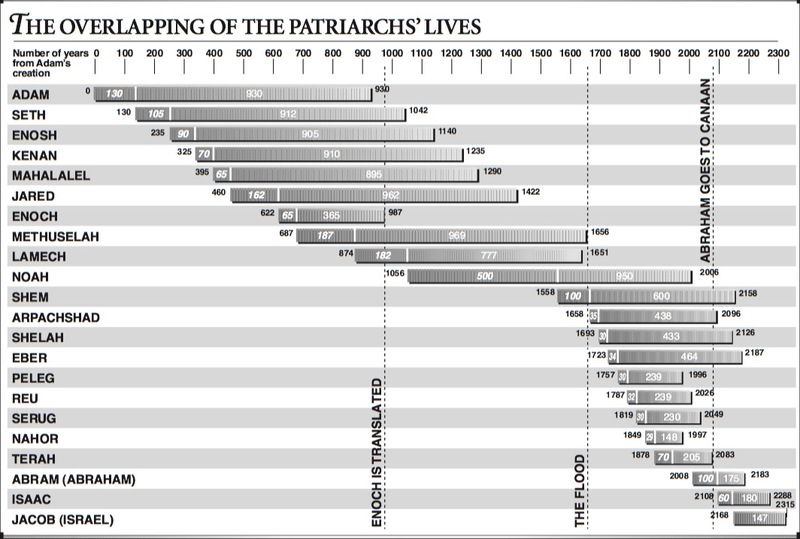 We have been examining the details of the great cloud of witnesses that lived by faith. Witnesses that are examples to us. The men of old gained approval (before God?) by their faith. We have examined Genesis 1-3 that gives us more insight into Hebrews 11:4. More will be gleaned through the balance of the Word. Now, the next example of faith. We likely remember the account of “Cain and Abel”. For today, look at the synopsis provided in this verse. By faith Abel offered a better sacrifice, that led to his death. Live by faith, regardless of the price.